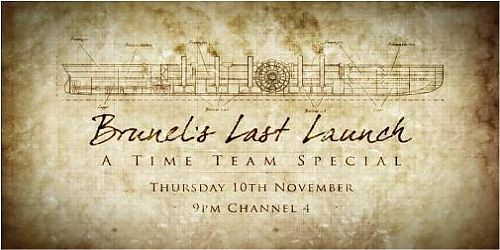 Thames Discovery Programme - TDP on Time Team! We thought that the Time Team Special featuring the Thames Discovery Programme and FROG work on the foreshore at Burrell’s Wharf was going to be broadcast in the summer of 2012 but actually it will be appearing on your screens next week – tune in on Thursday 10th November at 9.00pm on Channel 4 to see Gustav, Eliott and members of the Foreshore Recording and Observation Group in action on the banks of the Thames with Tony Robinson and Time Team! You can now watch the episode online on 4oD.